Peony, the protagonist in Peony in Love, is a pampered sixteen year old when the reader meets her. She is sequestered in the Chen household with female family members and knows nothing of men beyond her relationship with her father. She is betrothed to a man she has never met and during a performance put on by a troupe her father hires, she catches sight of a handsome man with whom she falls in love. 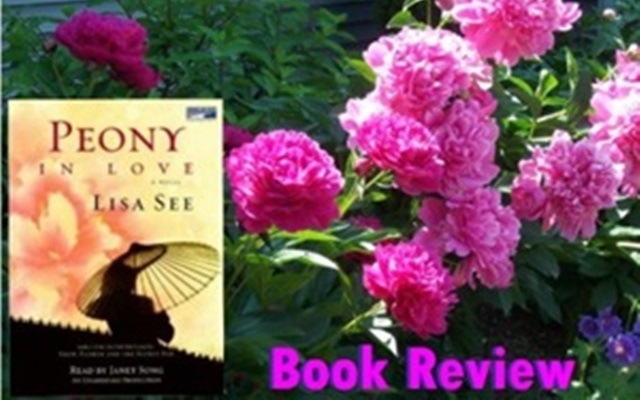 Peony in Love provides a fascinating look at life in seventeenth century China. 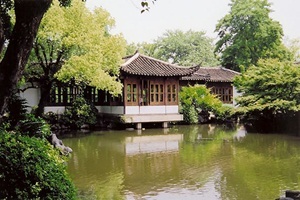 The Chen household is overrun with women and female children who form alliances. They also gang up against those they can’t stand, and Peony is one such person. Though Peony is spoiled, I could not help but be taken with her as she is curious about learning and stretches her mind beyond the usual things girls are expected to learn. Her interest in Chinese opera sets her apart from other family members and takes her down a disastrous path she does not understand until it is too late. Peony in Love is a first for me, in that Lisa See takes the writer beyond the realm of the living into the world of the supernatural. I understand the concept of praying to ancestors for favours, since this is part of African culture. However, this book goes much further, in that it explores the things that happen to those who die, and the various stages they go through before they find their final resting place. To date, I have not read any other novel set in China that explores the afterlife in such detail, which is part of what made Peony in Love a fascinating read. Peony lives vicariously through her association with the wives of the man she never lived long enough to marry. She intervenes in their lives in good and bad ways, and like them learns valuable lessons through experiences that are only revealed once women enter marriage. Another interesting aspect of the novel is the day-to-day life of the women in the Chen household. The older women are charged with training the younger females for the families they marry into eventually. Women are viewed as transitory merchandise in that they are moulded into ideal wife material and then passed to their husband’s family. That is not to say that family isn’t important because women play an integral role in passing on tradition, bearing sons and making the home fit for the husband and his guests. One of the major differences between See’s novel and other Chinese fiction is the fact that the characters she writes about are taken from history. This is also the first novel I’ve read which detailed the lives of women who actually existed and were artists, poets, writers and painters. It was new knowledge, but not a surprise that during times of social upheaval, such as the Manchu invasion of Yangzhou, that women were expected to sacrifice themselves to save the men in their families. See brings the reality of life in seventeenth century China into sharp focus through customs, such as ghost marriages. One other practice I’ve read about in several novels is foot-binding. However, See does an excellent job of putting the reader in-scene with the characters. As with Snow Flower and the Secret Fan, I cringed and cried along with the little girls as they go through the harrowing process, which in rare cases, can end in death. The practice of ancestral worship was explained in detail and I’ve gained a little more insight into that aspect of Chinese culture. The research that went into Peony in Love is apparent, but seamless. See has taken historical characters and situations and combined them in a novel that is intriguing, rich in detail and will hold strong appeal for fans of Chinese fiction.